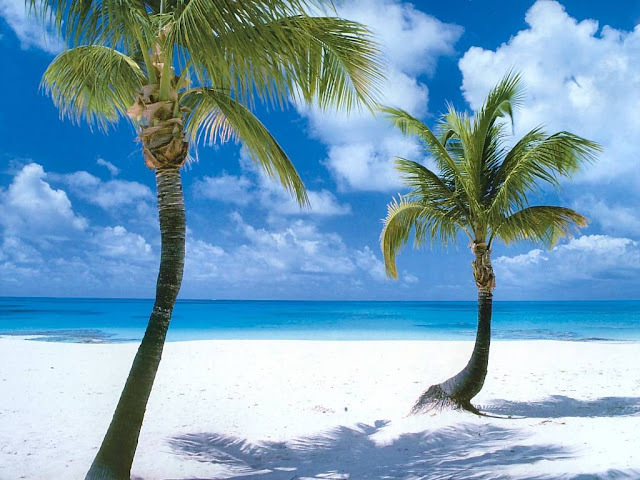 There's nothing I love much more than a tropical vacation to paradise, and luckily Spring Break is not too far away! If you saw my "Instagram Round-up" post then you saw that my hubby gifted me with a trip to the Caribbean for Valentines Day. He said I could pick anywhere I wanted to go..& thats when it got hard! I want to go to so many places, but there were a few places that stood out above the rest; St. Lucia, Antigua, Tulum, and the Bahamas. I thought I could give you guys some insight as to why I picked these for my top Caribbean locations, and why you might want them on your list too! Enjoy! 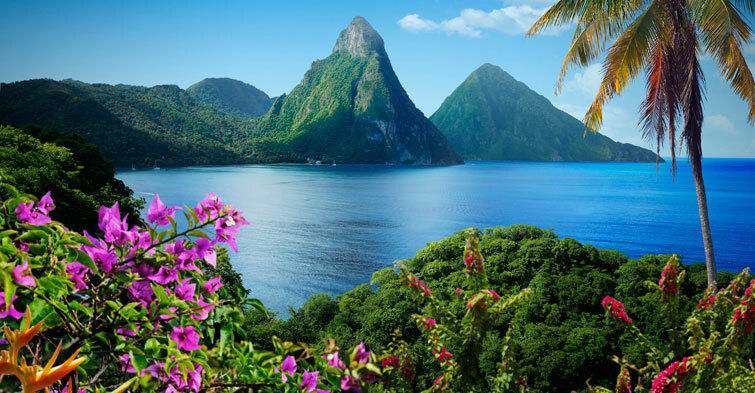 My hubby and I almost went to St. Lucia for our honeymoon but I chickened out because I wanted to guarantee the food would be good and I didn't know anyone who had been there. 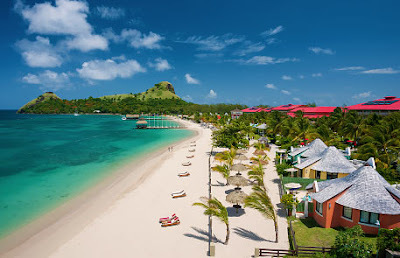 My resort picks: Sandals Grand St. Lucia & Ladera St. Lucia. Sandals because its all-inclusive, has tons of amenities, and is known for it's service and friendly staff. Ladera because it's build up in the mountains providing amazing views and private pools. Best know for: Spectacular beaches and breathtaking water. I wanted to go here because its the quintessential "private island" vibe. 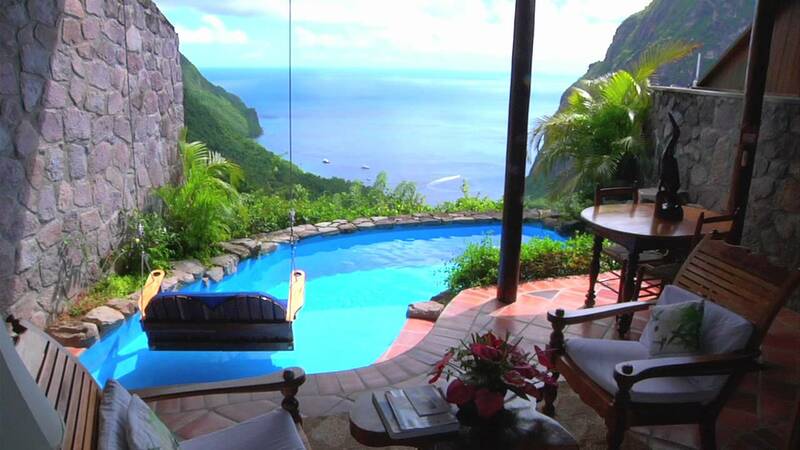 So calm and secluded, not over-crowded, and extremely romantic. We didn't end up booking here because the flight options had us making 2+ stops each way taking up 2 whole days just for travel. My Resort Pick: Cocobay Resort! 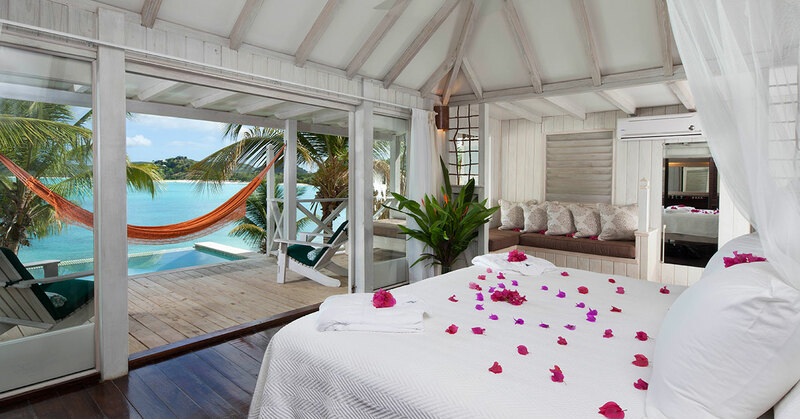 It's absolutely beautiful with private beach-chic cabins right on the water that have private plunge pools, outdoor bathtubs, and hammocks..a dream. Best Known For: Mayan ruins, and beautiful turquoise water. Now I've been to Mexico 6 times but I've never been to Tulum. 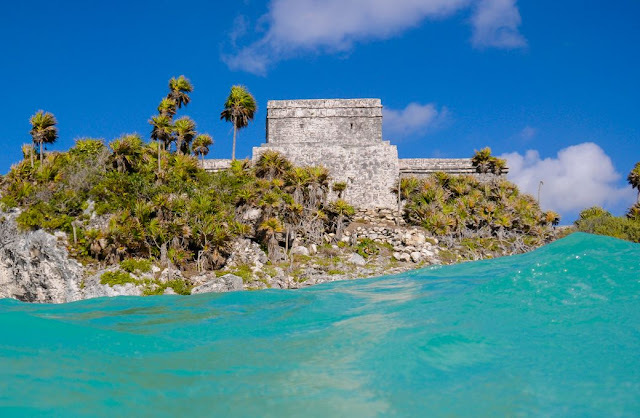 It's always a popular excursion destination for visitors from Cancun or Playa del Carmen but it's quickly becoming a destination favorite. With so much beauty surrounded by history, its the perfect place to explore and unwind simultaneously. 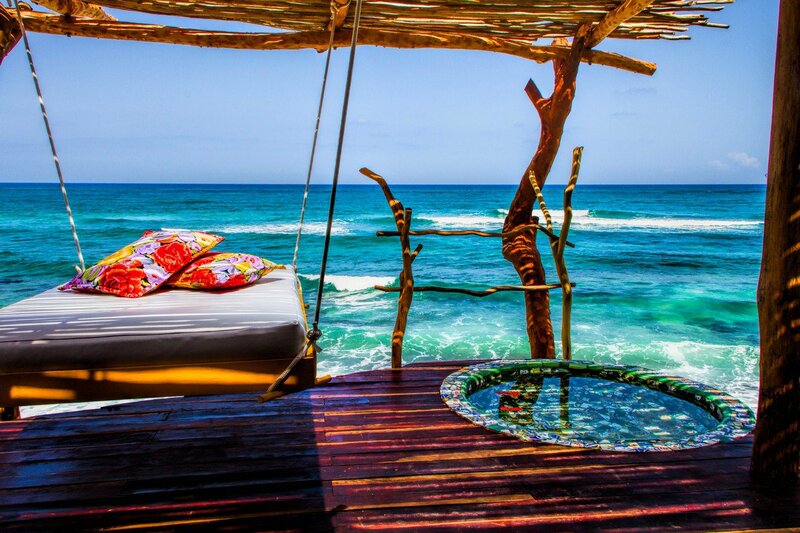 My Resort Pick: Hands down, Azulik Tulum. It's practically an adult treehouse that is built on a cliff right on the ocean. It has suspended beds and swings attached with rope that allow you to practically float above the water. Not to mention the outdoor tubs and intricate tile work..a true masterpiece. I no..why aren't we going here?? It was sold out for the week we want to go! I ended up choosing the Bahamas for our Spring Break trip because I've never been & I really want to see the pigs! LOL In all seriousness though..I can't believe it's taken me 28 years to get there! There's so much to see/do, tons of all-inclusive resorts, and countless excursions. 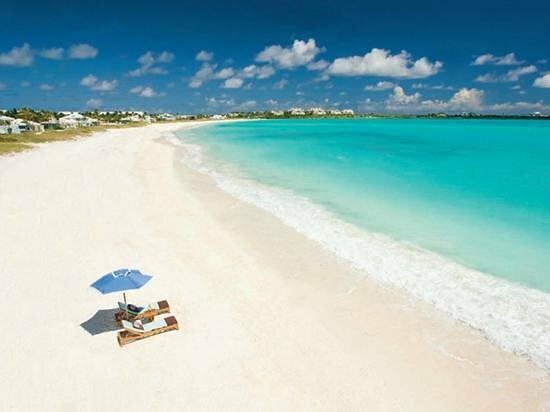 My Resort Pick: There are so many between the different islands but since we are staying on Nassau I picked Meliá Nassau Beach. 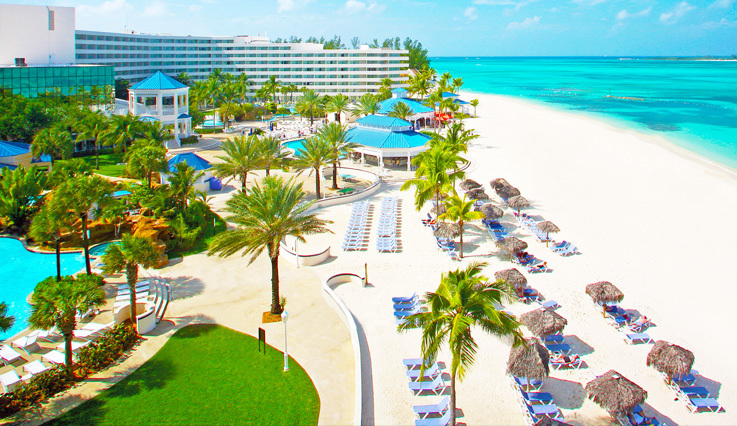 It's a 4.5 star resort with 3 pools, 7 restaurants, countless amenities and its on beautiful Cable Beach. I can't wait to dip my feet in that beautiful ocean next month!! Thank you so much for this much beautiful post, i like it too much. This is really an informative post done by you. I too like to visit the beaches very often in the days of my holidays.